As this was the first time that NCR has worked with Sota, I was impressed with the high level of construction quality shown throughout the project as well as the professional manner in which the site was maintained. This project started by Ernie Sota in the mid-seventies was recently completely rebuilt and has won a Certificate of Merit and Green Design Citation from the American Institute of Architects. 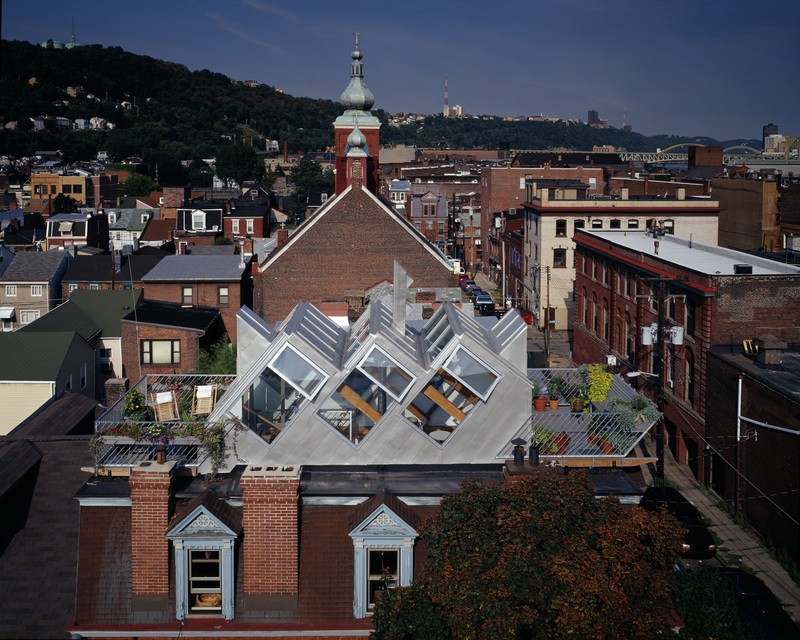 It has been featured in Pittsburgh Magazine in its "Spectacular Residence" issue along with publication in the arts and architecture magazine Azure and featured in an article about biophillic design in the New York Times. Initial work completed in 1978 with reconstruction of bioshelter completed in 2005. 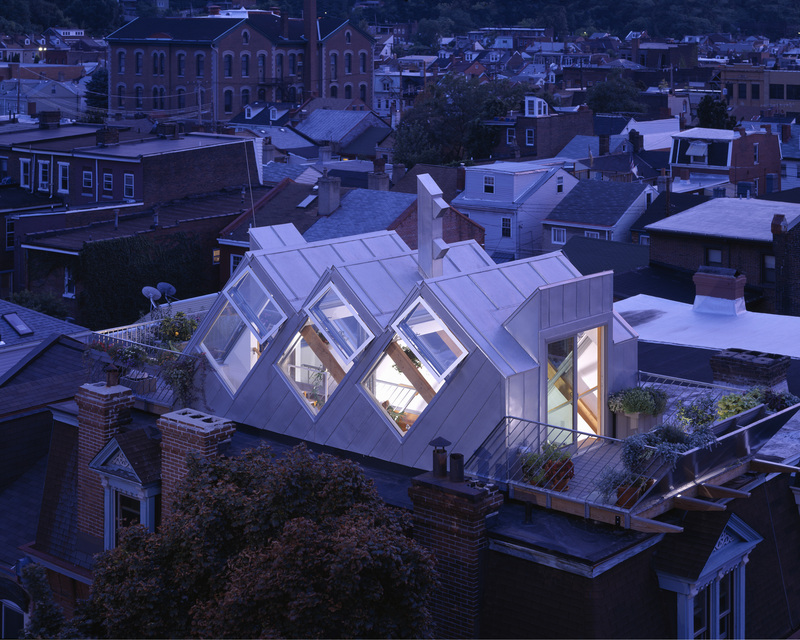 This rooftop bioshelter is located in the South Side neighborhood of Pittsburgh, in an area known as “the flats”. This area is a geological product of the alluvial basin of the Monongahela River. This unique basin allows for long vistas--when one is elevated above the built environment--and ample sunlight, making the ideal location for this spectacular rooftop bioshelter. 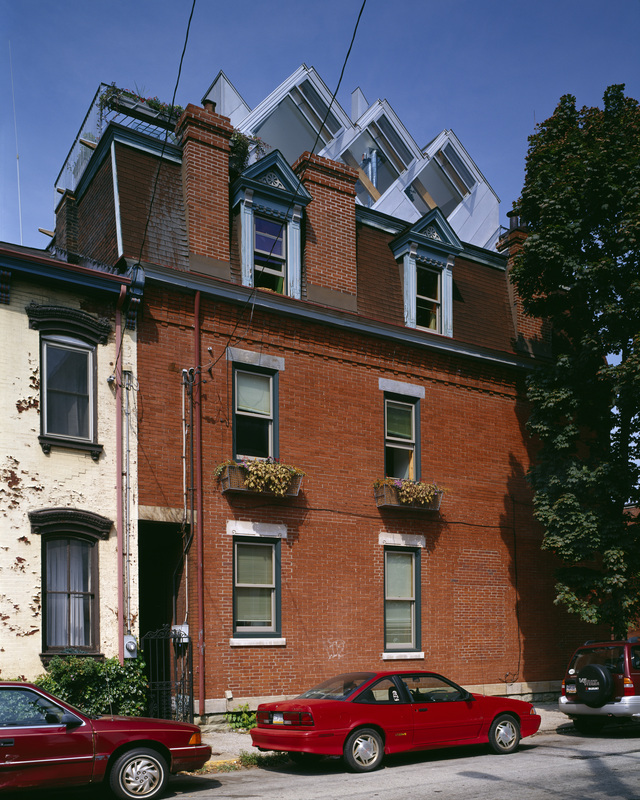 Located atop a nineteenth century townhouse which was originally built as a doctor’s office and apartment in 1898, the bioshelter is a reconstruction of a rooftop greenhouse originally built in 1978 by Ernie Sota. Inspired by the early work of the New Alchemy Institute on Cape Cod, the original greenhouse was one of Pittsburgh’s first environmental projects. 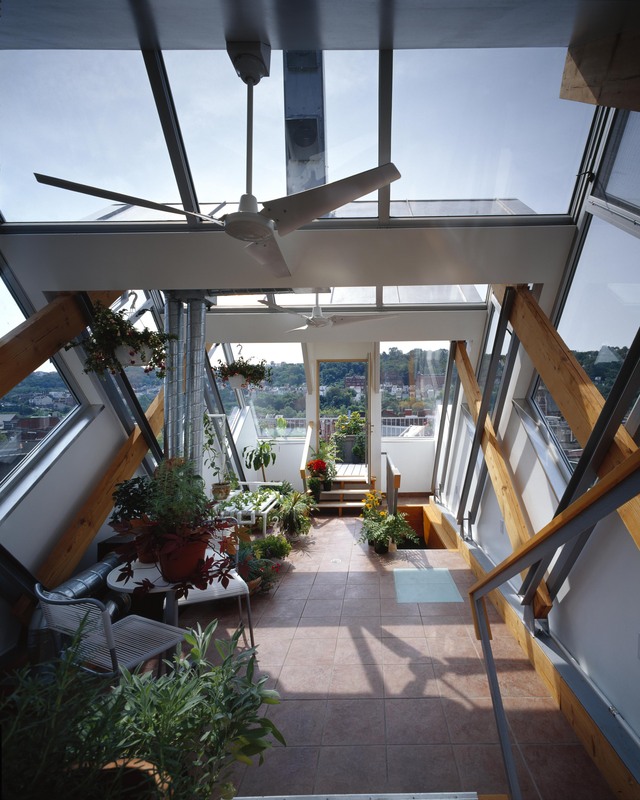 Built mainly as a biophilic greenhouse, it allowed the owners to garden in a dense urban context which did not provide for any ground level plantings. In 1978, the building was renovated using energy-efficient techniques: all walls were insulated using recycled newspaper and triple-glazed windows were installed along with energy efficient heating systems. Made mainly of conventionally framed lumber, wood siding and Kalwall, the greenhouse, after years of continual use, was in need of replacement. The new bioshelter’s structural enclosure is similar conceptually to the Russian “Matryoshka” nested dolls -- “a structure within a structure”. The main supporting structure is within and is made of exposed douglas fir while the outside enclosure is made of standard wood construction as well as glass and terne coated stainless steel. The new structure is built to last using aluminum sloped glazing and insulated glass and stainless steel siding and roofing. In its new form, the bioshelter serves as a biophilic garden with hydroponic gardening for the tenants with both indoor and outdoor areas. 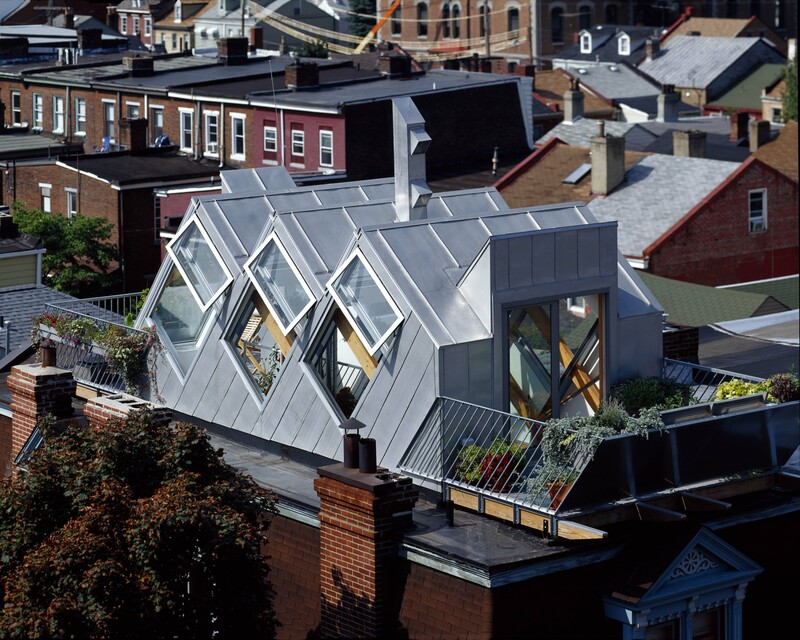 The bioshelter now acts as a “common room” for the tenants that they can use year-round and includes two outside deck platforms which allow for spectacular views of the South Side flats and slopes, Mt. Washington, and Downtown Pittsburgh. Besides the stunning views that can be seen both from the decks and within through the large windows, the bioshelter also provides a space to grow vegetables using a combination of organic hydroponics and soil. 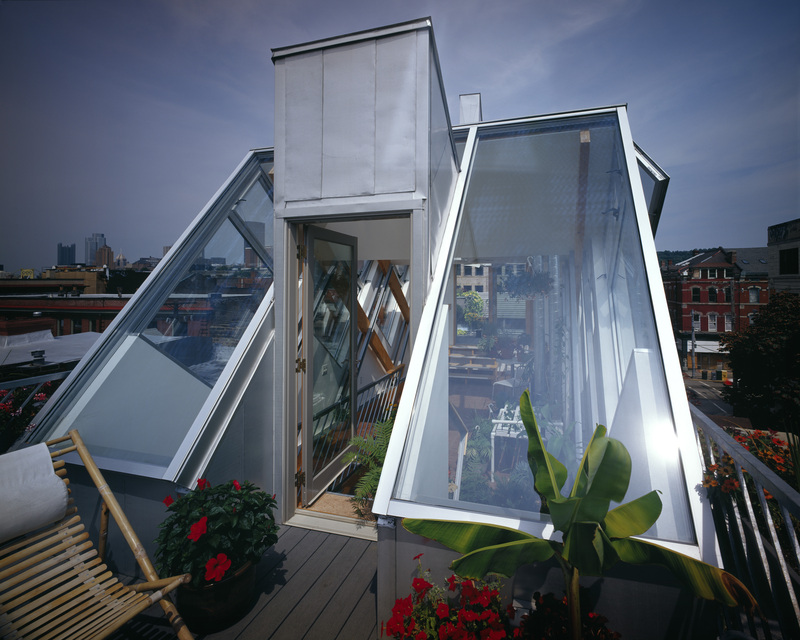 The bioshelter also acts as a supplemental heat source for the apartments (for both heating and hot water) as well as exterior exhaust / fresh air intake from and for the tenant’s tempered living environment. Excess heat and warm earth and plant fragrances are circulated to the apartments below during the winter months. During more temperate weather, filtered intake air is taken directly from the exterior. Energy will also be captured and sent to the apartments below using an energy recovery ventilator (ERV), also known as the “Urban Snorkel” which will capture 90% of the energy from the ventilated air. 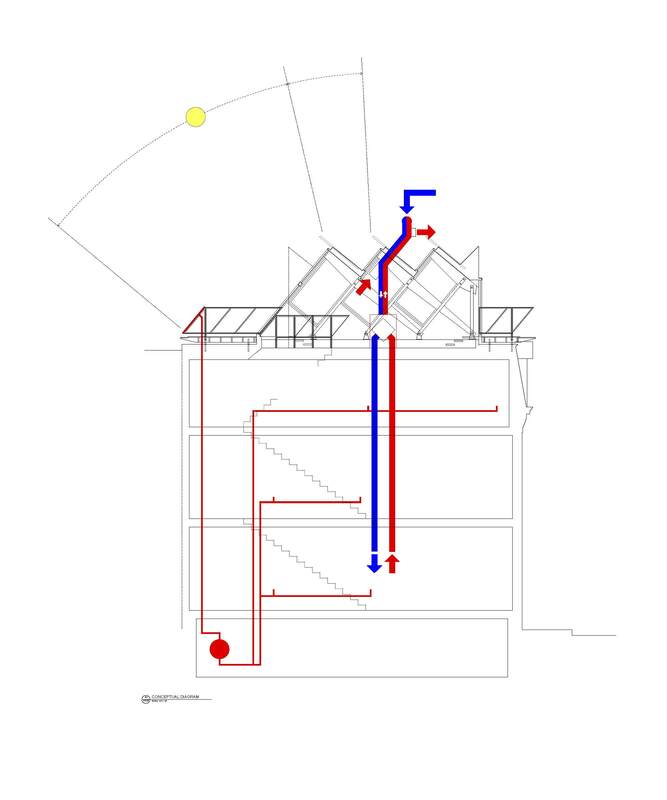 The diagram shows how fresh air will be captured and sent to the apartments below. Future plans also call for a solar domestic hot water heating system. The term “Urban Snorkel” also refers to the function of the ventilator whereby it delivers fresh air from high up rather than down low where auto exhaust presents a health concern. As part of its reconstruction and to demonstrate the owners’ long standing interest in environmentally-friendly building methods and materials, this bioshelter integrates many current environmental solutions. The north and south decks use TREX, a high recycled content decking material. Recycled content drywall and recycled ceramic tile are used within the structure. The two outdoor spaces have railings made of recylced content galvanized steel, nontoxic pressure treated framing and trex decking which provide integrated seating platforms and planting boxes. Greenery is further celebrated through the installation of supersized window boxes at the second floor windows of the building and at the roof deck railings. With a series of sloped glazed surfaces facing due south, this bioshelter will also achieve maximum solar collection. These surfaces as well provide visual transparency to connect the tenants to the natural and built environment. 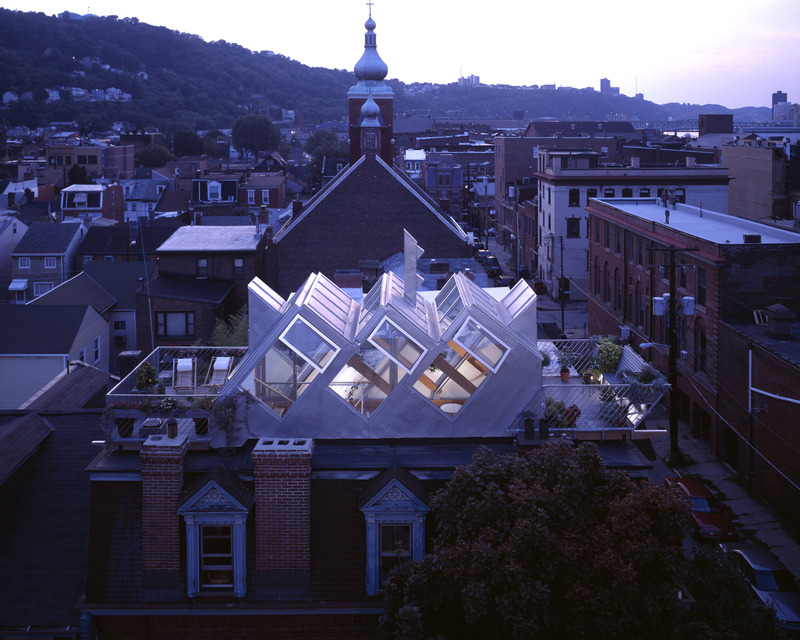 The project is an ongoing laboratory in exploring sustainability within an urban context. This is a successful, terribly innovative intervention strategy of something on a roof. It is purposefully tectonic. It is a piece of equipment that can be occupied, a very cool idea. Beautiful plan. Coming up and occupying the roof is so un-American, very European, this is why we were attracted. It introduces a different way of living, a very intelligent scheme. It is a great counter-play against the brick-heavy building. The structure plays nicely against the old. [Sota's] efforts have transformed a symbol of inner city blight into a remarkable development for unique near-downtown housing.